We were called upon recently to give some advice on a slippery situation. 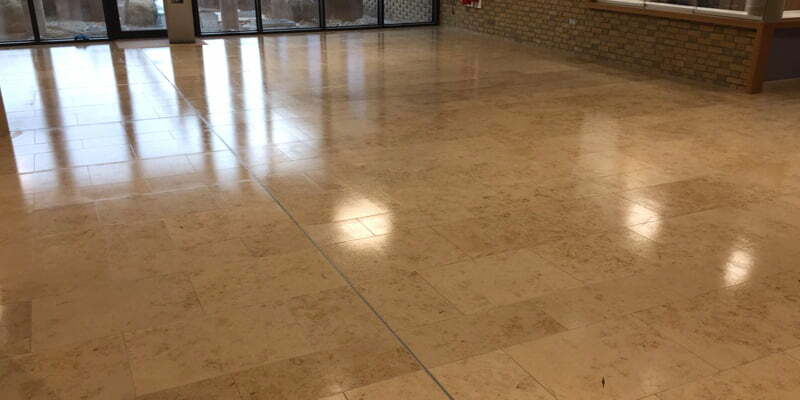 A polished limestone floor in the reception area of a hotel was proving to be a slip hazard. The limestone floor is highly polished and looks fantastic. However, as a busy hotel lobby it experiences very heavy traffic. With our Irish climate, rain water is traipsed in constantly – and as with any highly polished surface, it gets very slippery when wet. This can lead to a dangerous situation, with slips and trips and costly law suits. Wherever you have an area accessed by members of the public, you have a duty of care to ensure your premises is as safe as possible. You must prove to your insurance company that you have taken all the necessary precautions to reduce the risk of slips, trips and accidents. The first option was to re-hone the entire floor and give it a matt finish. During the re-honing process, we would create micro scratches on the surface – giving it more grit. We would re-hone the floor with our specialist machines using diamond pads, removing any scratches or etch marks and then gently polishing up the floor by using progressively finer disks. The micro scratches on the floor would only be visible to the trained eye. Once the floor was re-honed, we would seal it with a penetrating seal. This is a water-based seal which impregnates the stone and helps with maintenance. It gives you time to wipe up any spills before they seep into the stone and cause staining. The seal doesn’t change the appearance of the floor, but gives it a slip resistance rating of 36 PTV which meets the requirements of the Health and Safety Authority. The second option we proposed was to coat the floor with our unique Wearmax ceramic floor coating. This would involve removing all seals from the floor and re-honing to prep it to take the floor coating. Wearmax is a revolutionary high-tech ceramic floor sealer, it’s a highly effective floor coating which gives you protection against dirt and scratches, and can render your floor slip resistant even in wet conditions. It offers an attractive, easy to clean finish that is considerably more resistant to wear, scratches and slips than any other seal or coating. Wearmax is a three-tiered solution. We initially have to prep the floor to improve adhesion. The first coat of Wearmax is called the primer and this is formulated to generate adhesion for the floor to take the second coat, called Wearmax Armour. This second coat offers a protective covering that is used to prevent damage from being inflicted. The Wearmax Armour coating contains thousands of tiny ceramic particles and provides the main wear layer of the Wearmax system. The ceramic particles provide an extremely hard and enduring protective layer against general wear and tear. They are extremely dense and evenly dispersed across the entire surface, providing not only superior protection but also excellent traction due to the fine roughness of the ceramic particles. This is what will give the surface excellent traction, even on damp or wet surfaces. Once the Armour has been allowed to cure, we then apply the final coat – Wearmax Shield. The shield is the top coat and determines the gloss finish of the floor. You can have a polished, satin or matt finish. The top coat also protects the armour coat from soiling. Treating the floor with the Wearmax system will give the floor a PTV of over 40 in the wet, which far exceeds the required standards of the Health and Safety Authority. When considering options, it’s important to calculate the cost of NOT rendering your floors slip resistant. Solution 1 – re-honing the floor – is the least expensive option in the short term. The re-honed floors will, however, need to be looked at on an annual basis. We would recommend carrying out an independent slip test annually. Limestone is a very soft stone and will polish up with foot traffic. Busy areas with higher traffic may need to be re-honed yearly, and we recommend replenishing the penetrating seal in such areas at least once a year. Solution 2 – the Wearmax coating – is a considerably higher outlay initially. 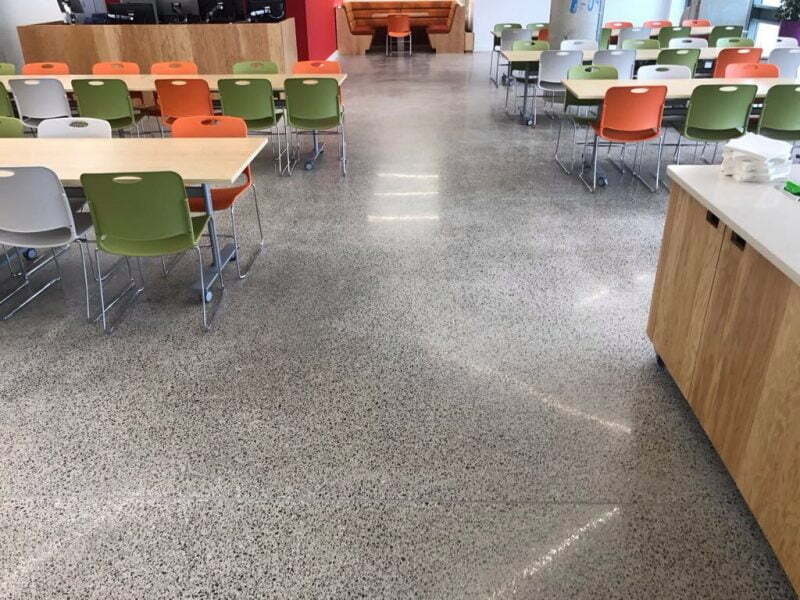 The floor will still need to be re-honed, as in Solution 1, and then there is the additional cost of the Wearmax system and labour costs involved in applying the three coats. However, the long-term savings are substantial. Daily maintenance of a floor coated with Wearmax is very quick and no chemicals, waxing or buffing are required. We would not envisage having to re-treat a Wearmax floor for at least another five years, or more. Whichever option you choose for your public areas, it’s important to make sure your floor is safe to walk on. A well cared for floor will require less maintenance, plus you can be assured that you have taken the necessary precautions to prevent accidents and protected yourself from costly injury claims. 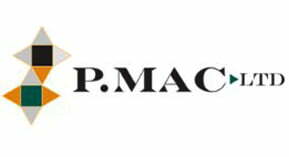 If you would like further information on our floor protection solutions, please get in touch at 01 473 3666 or email us.